Lidl is one of the fastest groving supermarket chain in the UK. You can apply for Lidl job vacancies online via their recruitment site on Lidl.co.uk. Once your online application successful then you will be invited to a telephone interview and this takes about 8 to 10 minutes to complete. You will be invited to for a group interview in store if your telephone interview was success. Why do you want to work for Lidl? What do you know about Lidl? What are the daily tasks involved? Tell me a time you have given excellent customer service. How well do you know lidl? What’s the difference between your old job and this one? what tasks do you think you would do working for us? Are you okay with physical work? What do you know about Lild? Why should we chose you over other people? What experience have you got in retail or similar? Name a moment you are most proud of? Have you ever had any problems with managers before? What do you think makes good customer service? What do you think being a Customer Assistant involves? 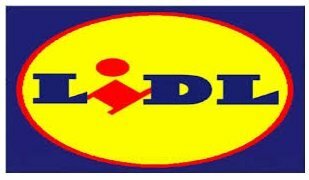 What do you know about the history of Lidl? How would you cope doing one task for an extended period of time? How would you respond to a complaint about your service? What challenges have you overcome at work? Why should Lidl hire you? How would your previous employers describe you? Where do you see yourself in 5 years within lidl? What is your nearest Lidl store and what experience did you have there? What do you think the duties of a customer assistant are? Tell me about your work history? What skills and qualities should a person have for this position. What breed of dog would you be and why? How do you intend to improve all the negative points that you mentioned for yourself? How do you comunicate with your team? Good luck with your interview and let us know if you have more questions to add to our Lidl interview questions list.